Amanda Stephenson leads Gingerwood, the region’s foremost luxury interior design-build-furnish firm. 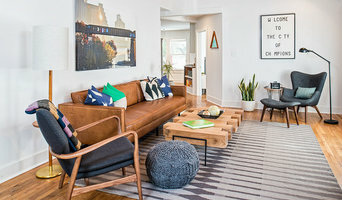 Austin’s only Interior Design firm including on-staff general contractors, Gingerwood provides one-stop for design, renovation, construction, project management, furnishing and home adornment services for high-end homes and multi-family developments. Amanda brings the discerning eye of a seasoned designer and a fresh artful flair to all her projects, making spaces both timeless and dynamic. A highly skilled principal design manager, she directs her team of designers, in-house general contractors, premiere subcontractors, local artisans, and vendors to execute and deliver curated and innovative spaces. With 37 years of combined industry experience, Amanda and her team have created amazing spaces for prominent clients including Fortune 500 leaders, oil investors, venture capitalists, professional athletes, surgeons, celebrities, and urban families to customize and personalize their homes. Gingerwood brings bespoke quality, upmost discretion and concierge level customer service to each and every project. Throughout the design process, her team strives to cultivate genuine relationships with their clients. They come to trust the Gingerwood team implicitly and truly enjoy the process as the team brings their deepest yearnings to life right before their eyes. Amanda and her multi-award winning team’s work has been featured on the cover of Austin-San Antonio Urban Home, featured in Austin Woman, published in Modern Luxury Interiors, LUXE, Austin Home, Texas Home and Living, Austin Monthly, American Statesman and Design Guide. Amanda’s firm has won numerous ASID Design Excellence and ASID Legacy Design awards as a prominent industry leader. Heather Blue Harkovich, owner Heather Scott Home & Design, began a love for art and design while attending boarding school in Switzerland. Her junior and senior years were spent in intensive Art History and Studio Arts courses which included 'field trips' to museums across Europe. She attended Vanderbilt University, a top 20 college, where she earned a B.A. in Fine Arts (a combination of Art History and Studio Arts). In addition to an in depth arts knowledge, Heather also possesses analytical skills developed after receiving a Master's of Business Administration degree and spending 10 years in luxury marketing in both California and England. In 2005, Heather decided on a change of career and received a ceritificate in Interior Design at the Interior Designers Institute located in Newport Beach, CA. 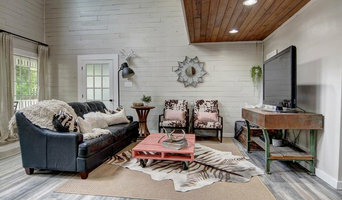 Since relocating to the Austin area, Heather and her husband, Scott, have operated 'Heather Scott Home & Design', a retail home décor boutique located on 1105 W. 42nd Street. 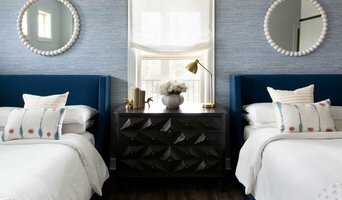 Katie Johnson Interior design is a full service design studio. We customize everything from the floors to the cabinets. We work with local artisans and craftsman to create unique and eco friendly spaces that mirror the great city we live in! Give us a call to chat about your upcoming projects. OUR STORY We listen. We create. We transform. By integrating architectural and interior design solutions, Laura Britt and her team design beautiful, functional, and transformative spaces. Client interaction and attention to detail create the foundation for every project. By first listening to the client's needs and desires, we can understand what a client wants to achieve, and then fully express those needs and desires into individualized spaces. At a pragmatic level, we combine forward-thinking technology with best practices and organized internal processes in order to maximize efficiency. Launched in 2001, Laura Britt Design now employs a complete team of interior designers and support staff to ensure every client experiences the turn-key service they deserve. Our bright and energetic team handles every detail with precision and the utmost care, from the magnificent to the mundane. With a combined total of more than 50 years’ of industry experience and training, Laura and her team want to bring fresh ideas to your project, as well as attention to detail, so that you have time to focus on other things. We are known throughout the region for bringing calm to a process that can sometimes feel chaotic, and we pride ourselves on that.